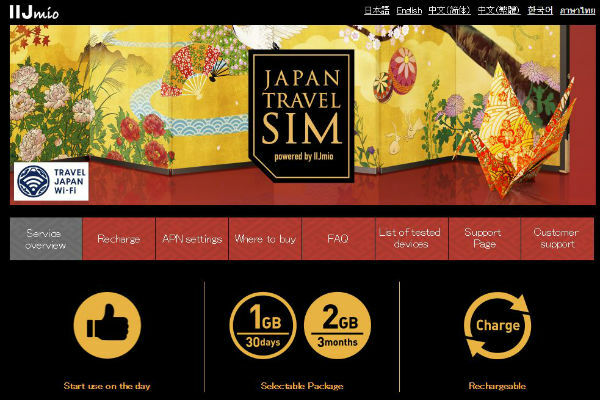 For people planning on visiting Japan, Japanese companies offer a lot of prepaid SIM card services with many plans. However, as the plans are many and separated, you may be puzzled on which one is the best for your itinerary. 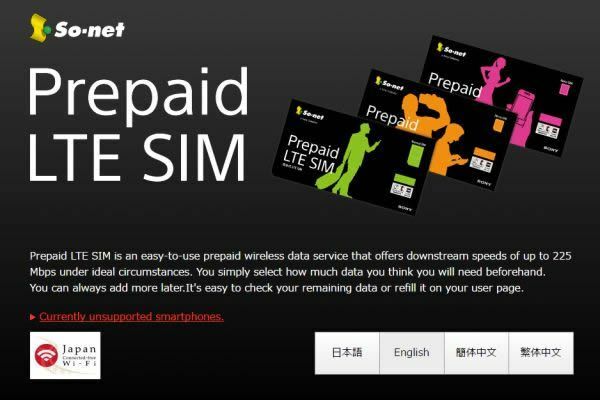 We provides you a list of all of the prepaid SIM card services available for getting around Japan. The list also has their details (data capacity, period, price, and more) so that you now can see them all in one place and compare with the others easily. Along with it, we also have pages on each service's details. 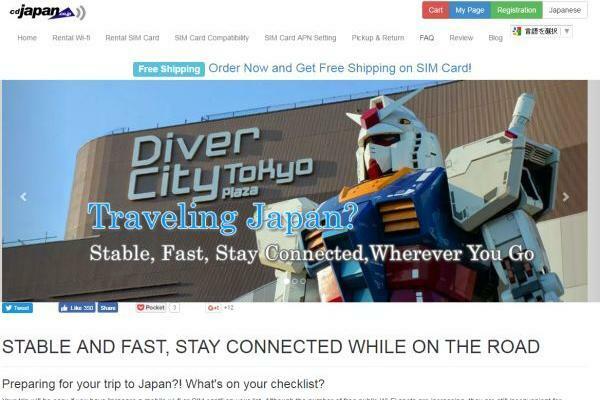 Find the best prepaid SIM card, and enjoy your wonderful experience in Japan. NTT Communications' prepaid SIM service, Prepaid SIM for Japan uses NTT Docomo's 4G/LTE and 3G networks, and gives users up to..
Prepaid LTE SIM by So-net offers 3 basic plans (1G, 2.2G, 3G), and their SIM card is available to purchase at various location..
Japan Travel SIM is a prepaid SIM card service powered by IIJmio.You can purchase their cards through a wide variety of places..
A rental service provider of data SIM and portable WiFi (Pocket WiFi). They offer plans with a very wide range of rental perio..
LightPocket provides you high speed and stable data communication with proven reliability. 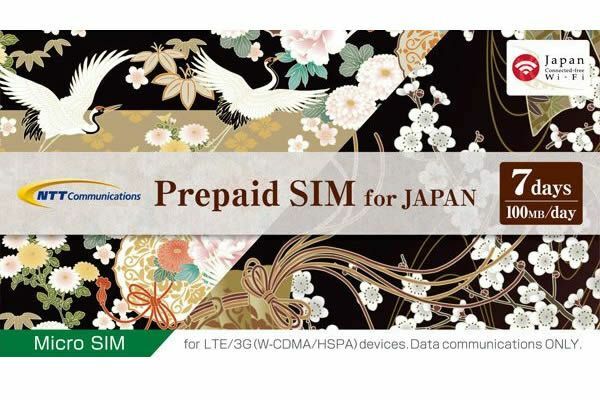 They provide Data SIM Card and Pock..
NTTDoCoMo has the largest network coverage, and almost all of the prepaid SIM card services in Japan are based on their network. NTTDoCoMo's 3G (the third generation) network is called FOMA, Freedom of Mobile Multimedia Access. FOMA uses the 800 MHz band in rural areas while it uses the 2100 MHz band in metropolitan areas (1700 MHz band in a few areas). However, the 800 and 1700 MHz bands are exclusively assigned to Japan. So, if you have the 3G network with the 2100 MHz alone, you practically can connect to the internet only in major cities. NTTDoCoMo also offers 4G (LTE) network under the service name of Xi, having a wide range of frequency bands: 700, 800, 1500, 1800 and 2100 MHz. Some of the frequency bands are also used in countries other than Japan, however, the 1800 MHz, one of the most usual bands in the world, is available only in the following major cities: Nagoya, Tokyo, and Osaka. As you have seen above, a usable frequency can vary from place to place, so, its highly recommended to check which band do you need for the area you want to go and which band is your device compatible with before you actually visit Japan. Band 1(2100MHz), Band 19 (800MHz), Band 21 (1500MHz), Band 3 (1800MHz, limited to the Toumeihan area). Band 1(2100MHz), Band 19 (800MHz). 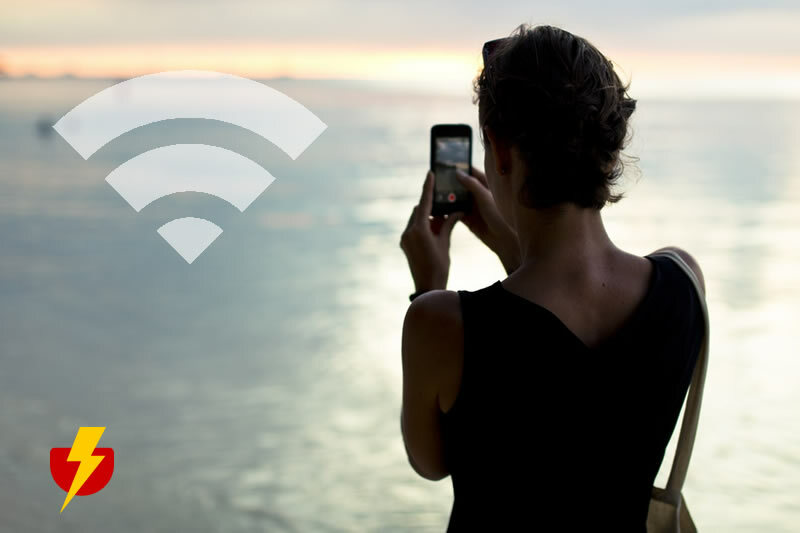 LightPocket is a rental service for mobile WiFi routers and Data SIM card that can be used when traveling around Japan. They can deliver to your hotel or you can pick it up at the airport. Choose the plan that best suits the period of your stay! They offer reliable, reasonably priced services for international students and expats to Japan.